The Cook'n Recipe Organizer lets you organize, search, and e-mail your favorite recipes. Make a family cookbook. Do grocery lists, menus, and more! 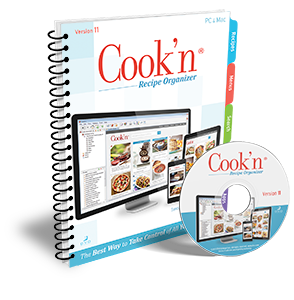 The Cook'n Recipe Organizer lets you organize, search, and e-mail your favorite recipes. Make a family cookbook. Do grocery lists, menus, and more! Now for Apple Computers. 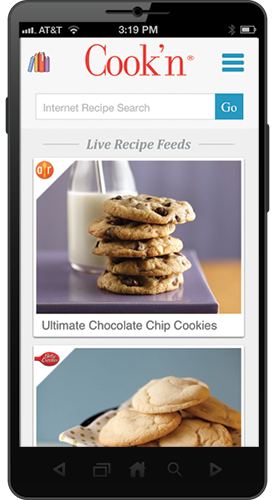 Cook'n for iPhone lets you create, edit, and view recipes wherever you are. Cook'n makes custom shopping lists to help you save time and money at the grocery store! 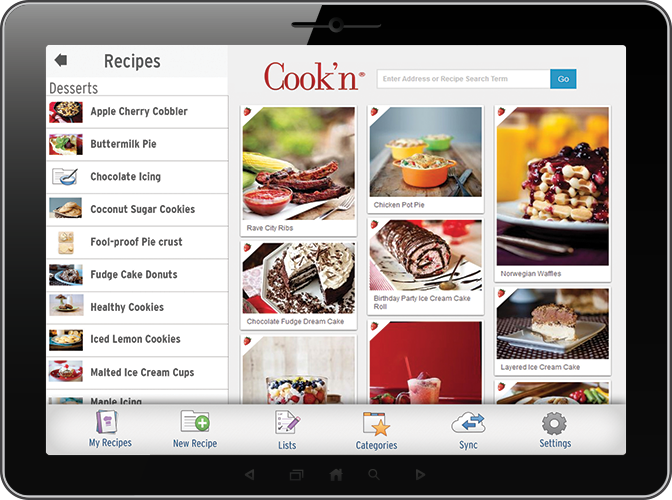 Cook'n for iPad lets you create, edit, and view recipes wherever you are. Cook'n makes custom shopping lists to help you save time and money at the grocery store! Cook'n for Android lets you create, edit, and view recipes wherever you are. Cook'n makes custom shopping lists to help you save time and money at the grocery store!